We’re proud of the services we offer and always strive to get the job done right the first time. 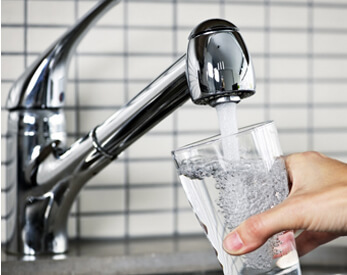 From repairing leaky faucets to gas leaks, clogged drains, blocked sewer lines and more. Our flat–rate pricing allows you to know the price up front, so there are no surprises. We are licensed plumbers serving San Fernando Valley and Surrounding Areas. Green’s Plumbing, one of San Fernando Valley’s top rated plumbing companies since 1991, has been the go-to choice for plumbing care in West Hills, Woodland Hills and surrounding communities for over 26 years. As a local family-owned and operated business, we are dedicated in providing your home the comfort and safety it deserves. We make it our mission to ensure that you are well-informed about your plumbing options so that you can make the right decision for your home. Our technicians can help with problems ranging from the smallest leak all the way to full trenchless sewer replacement and nearly every imaginable job in between. If you would like more information about our range of services, call or contact us today. 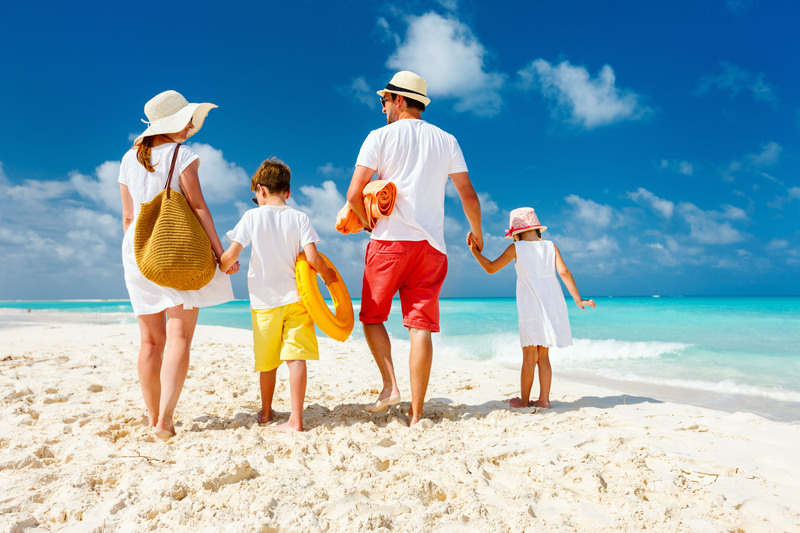 Receive promos, discounts and special offers in your inbox. Had a great experience with Brian from Green’s plumbing. He fixed our main problem (a slow drain), and solved two other issues while he was here. Was very knowledgable, and gave good advice for avoiding some issues in the future. Got everything done pretty quickly, and the pricing was very reasonable. Would recommend this as a good and reliable company. I was very impressed with Green Plumbing’s work! They were very professional. Not only did Mr. Green do exactly what he said he would do, and reasonably priced, but more importantly he caught something I would have missed with a sink plumbing installation and because they just to their work right it was all included! Thank you guys. Great job Brian. Green’s plumbing makes repairs look easy to do even though it may not be that easy. Also works for the home repairs prices, and time to complete the job can’t get anything better. Green’s Plumbing did a great job the whole way through – from estimate to completion of the job. On time, professional, straight forward, fair pricing, good work – we had a section of main line move/replaced for logistical / safety reasons. Highly recommend and would use Green’s Plumbing again in a heartbeat. We found them through Yelp. Thanks again Brian and Ed! Ed Greene has been our plumber for 15 years. He has helped us through multiple floods and household disasters: burst pipes, exploding high pressure toilet, several pipes bursting and an exploded water heater. He shows up on time, is honest and fair and always does a great job! We recommend him to all our friends. Gave Ed a call based on the reviews I read and wasn’t disappointed. Our water heater started died this morning and he was able to replace it right away. If we need future plumbing services we will be calling Ed again. 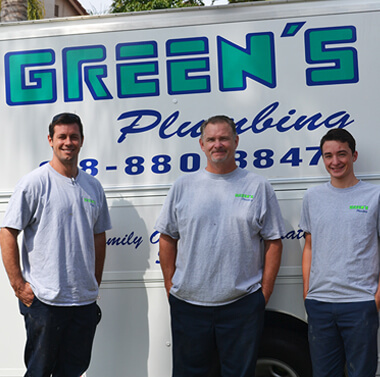 For the past 20 years, we have used Green’s Plumbing for many minor and very major plumbing problems since our home is over 50 years old. We have been very pleased with the quality of the work, ability to diagnose our problems, and offer sensible solutions. Ed Green and his team are absolutely the best. I have dealt with A LOT of really bad plumbers, and it is comforting to know that I have found a plumber who is not only brilliant with the work he does, Ed is a high-integrity person who always has his customer’s best interest as the priority. He is on time (and if he is running a little late, he calls you to let you know his ETA), neat (always cleans up) and is respectful of you and your home. I HIGHLY recommend Green’s Plumbing to everyone. I got Ed’s number from a friend, and I have used him on several occasions. His prices are fair and I’ve never had a problem with his work. If your looking for a plumber you can rely on call Green’s. Green’s Plumbing came out the same day I called and found the leak immediately. In addition to being efficient and professional, they were very gracious and polite. So about 2 months ago I had water pouring out of the side of my house from a slab leak somewhere in my kitchen. The original plumber that I was going to use was too busy and he suggested that I call Ed. I think I called on a Friday night and Ed picked up, we spoke, and was at my house on Monday. They found the leak, repaired it, poured a bit of concrete and did with a smile. If anyone reading this needs Ed Green for any plumbing job do not look elsewhere. Call Green’s Plumbing and you will be happy. Most recently used Green’s Plumbing for a slow toilet leak. We were hearing an intermittent noise but didn’t know what was causing it. Green’s Plumbing discovered the leak and fixed it. Very responsive company and nice to work with. We also recently used the company for fixing kitchen drainage pipe leak. Would definitely recommend them. I no longer have to worry about hoping to get someone that knows their craft or provide work that is not needed, because with Green’s Plumbing, no more worries! He and his crew show up on time, they’re honest, reasonable, and address the problem at hand. Thank you Ed for your continued years of outstanding service! Ed and his crew have been servicing our home in Northridge for years. he and his team are reliable, honest and professional. Our plumbing needs are in good hands. Mr. Green is very pleasant and professional . He fixed my water heater and price was very reasonable . I definitely recommend him to all my friends and family. What a great guy and what outstanding service! Ed Green of Green’s Plumbing was highly recommended to me and I used him for faucet issues in my home two years ago. Now I had a water feed pipes that needed to be replaced. Ed came out and provided me with an estimate that I thought was fair and after meeting with another plumber, it was clear to me that I wanted Ed to do my job. I couldn’t be happier with his work and he educated me on how and why he did what he did. That was very cool! Ed and Ana were great and I highly recommend Green’s Plumbing. Ed has been our plumber for 16 years. We will only trust Ed. Fast, reliable, and experienced. We highly recommend Green’s Plumbing for quality, fair prices, trust and dependability. Ed has been an asset to our home for a number of years and wouldn’t know what to do without him! Called for a quote to get all our kitchen plumbing reconnected after a renovation. I got a quick call back, a fair quote and set up an appointment for the next day. Brian and Ernie arrived on time and had our kitchen sink faucet and dishwasher hooked up quickly. They noticed an issue with our water pressure and checked our regulator and explained that our pressure was way too high and could cause our pipes to burst. He gave us a quote to get it fixed but wasn’t pushy or trying to upsell us. I will definitely be calling them back. The information on our water pressure was invaluable as we had noticed some issues with the pressure in the past, but didn’t think it was a big deal. Recently 2 of our neighbors have had their pipes burst due to pressure issues, so I appreciate them giving us a heads up so we can avoid a costly disaster. A real estate manager recommended Green’s plumbing and I called them because my hot water heater died. They arrived within the hour, looked it over and replaced it this morning. I cannot recommend this company highly enough. Their service, pricing and quality of work is first rate. We have found Ed Green to be honest and extremely professional, which is a rarity in the contractor world. We had a washing machine leak, which we quickly found out was due to a lint trap falling into the pipe and blocking it. So all we needed was a plumber to come and snake it out. After being stood up by another plumber, we called Ed to see if he could come in and fix the problem for us. He was available first thing the following morning, however upon hearing what the problem was, he actually suggested that my husband might be able to fix it himself and instructed him what to do. And lo and behold, it worked! And just like that, we ended up saving more than $100. We really appreciated the honesty and Ed will be the first plumber we call for all future plumbing needs going forward. Ed is smart enough to realize that, by being honest and offering great customer care in a field that desperately needs it, he might be losing a job in the short term, but he’s likely gaining a lifelong customer. All that with just 5 minutes of his time. Not many contractors realize that and that’s unfortunate, but hey, survival of the fittest, right? Really happy that we were finally able to find someone reliable to call should a need arise after encountering our fair share of problem plumbers. Ed Green and his team are absolutely the best. I have dealt with A LOT of bad plumbers, and it’s comforting to know that I have found a plumber who is not only brilliant with the work he does, Ed is a high-integrity person who always has his customer’s best interest as the priority. I HIGHLY recommend Green’s Plumbing to everyone. Called Green’s Plumbing today which is a Saturday on a holiday weekend and told them I needed a new water heater to replace my old leaky one. In less than an hour Brian from Green’s Plumbing was at my house with a new water heater. Brian was very knowledgeable and careful in both the removal of the old heater and installing the new water heater. It was installed much better than the previous heater was. I was very impressed with his professional manner and his detailed workmanship. The water heater itself is a Bradford White with a 6 year warranty that can be extended to 9 years. Brian installed all new pipes coming and going and also the emergency drain pipe. He also included a drip pan with drain pipe so years down the road it will not have a recurrence of leaks in the house. It was all done for a very reasonable price. Green’s has also done other plumbing for my brother who also recommends Greens highly and has recommended them to neighbors. I concur to highly recommend their promptness, knowledge and workmanship for a reasonable price. We have used Greens twice in the past few months for repairs around our house and it’s safe to say they have become our go to plumber. They’ve done great work and are always professional, reliable and honest. When we woke up without hot water yesterday with company coming for the weekend, we assumed we would have to replace our hot water heater. Our usual plumber didn’t return our call, so we called Green’s Plumbing based on all the great yelp reviews. Ed looked up the water heater (we were thinking it might be the original and, thus, 17 years old), informed us it was just 7 years old and worth fixing. His fix came in under his original quote and an hour after he finished the repairs, we had hot water. I was impressed because he could easily have convinced us to replace the unit instead of the much less costly repair. We now have a new “usual” plumber! Once you use Green’s Plumbing, you won’t want any other plumber! A skilled craftsman and crew! I called in the morning and they came early in the afternoon. Very responsive!! There was water coming up through the grout in our bathroom floor. We had already changed the toilet ring since that was closest to the leak. Brian came and found the leak right away. It was behind the shower wall caused by a hole in the valve that adjusts the water temperature. When we went into my closet behind the shower, it was all wet and just starting to mold. He cut a small square out of the dry(wet)wall and did the repair – replacing the old plastic part with a new brass one. He kept the fix as reasonable as possible by reusing older parts until we can replace the whole thing at a future time. He sprayed bleach and water into the wet areas and suggested I set up a fan to dry. I was truly impressed with his knowledge and efficiency. He was also very gracious and polite. This is our second time to use this company and we are SO glad we found them!! I needed my annual main line clean out done prior to a group of adults coming to stay and use my four bathrooms for a week. Brian is fantastic as always. It was educational. My previous plumber had retired since I last had this done. I have been using Green’s Plumbing with much success for other jobs, so I called them for this today. I got a full education on where my drain pipes go and what size and what they need. They cost a little more for a rooter but by the time he did two different clean out locations, checked my sink and listened to all my other plumbing inquiries, it was a bargain. Plus I had a coupon. Plus I know I would be calling them for any problems, so now we all know what we’re dealing with. Can’t rate them highly enough. We were lucky to have found Green’s Plumbing (Ed & Brian) about two years ago! We only go to them because they are very honest, professional and reliable. He has installed our sinks, fixed problems around the house, and yesterday updated our shower faucet. The work is always perfectly done and Ed is very easy to get a hold of and book. I wouldn’t trust any other plumbing company. Green’s Plumbing is A++ and we have never had any problems with anything they have worked on for us. Thanks you Ed & Brian!! Very trustworthy and I HIGHLY recommend. Ed Green came to work on my tankless water heater (needed maintenance). He is awesome! He knew exactly what needed to be done, completed the work in the time he estimated, and honored the price he quoted, which was very reasonable. I am so excited about finally finding a plumber that I will add to my “A” list! He showed up on time, responded to all messages quickly, and did a great job…very professional! I highly recommend Ed Green. I called Ed on a Saturday and he immediately talked me through a fix of my water heater. What service!!!!!!! I called because of a problem with my shower valve that had a couple of other plumbers stumped. Ed and Brian came out and within 15 minutes had figured out the problem. They were polite, professional and cleaned up thoroughly when they finished. I would not hesitate to recommend them. I was in need of some plumbing works for my new house, after searching for the best rated company I decided to give this company a try. I couldn’t be happier with this company, Ed, the plumber was awesome. He did a fantastic job, he cleaned up after the job was done, rate was low, and did not try to rip me off. The next day I called him late in the afternoon to come and fix a leaking issue that was not his fault, Ed came even though it was late in the afternoon and he was across town. He was able to fixed the leak and did not charge me anything, WHAT??? I will use Ed again for all my plumbing needs. Fantastic, Green’s Plumbing came out to fix a DIY gone wrong. On time, fixed the issue quickly and gave some great advice. The price was reasonable and the work was great! I recently called Greens Plumbing and had a very good experience with them as well….I had a big leak from the dishwasher overflow drain!! They were very prompt and fixed the problem quickly! Green’s Plumbing is great! They are efficient, reliable and reasonable. It’s nice to call someone you can trust. Green’s Plumbing removed our 13 year old leaking gas hot water heater and replaced it with a new gas hot water heater. Ed was able to provide us with a recommendation for brand and type of hot water heater that was best for our needs. His price was very reasonable. He also provided us with an approximate cost for redoing a bathroom shower. Ed and his assistant did excellent work. Everything went very smoothly. They came on time, were very efficient, neat, professional, friendly, and Ed gave us a discount (we are seniors). In addition, Ed even patched up a few places in the drywall for us in our garage and checked a few spots on our garage ceiling to make sure it was dry and there were no leaks. Ed explained everything we needed to know about the hot water heater. We will definitely use Green’s Plumbing again when needed. Ed, A MILLION THANKS!!! As you know I was very apprehensive about the project. EVERYTHING went smoothly. The workers did an exceptional job. Everything was cleaned up. I can’t thank you enough for a great job. Again, THANK YOU SOOOOOO MUCH!!!! Second time calling for help. Had a leaking shower. They showed up in 1 hour and problem solved. Thanks you so much for a quick and reliable service. Green’s Plumbing provided me an explanation before starting the work on what would be done and how much it would cost to make sure I was well informed before, during and after the work was completed. Excellent job. They also answered a few other plumbing questions. After two years in my house, I have found my plumber. Trust and competence are not always easy to find. Green’s Plumbing were very professional, knew what they were doing and also left the repair site spotless. They also liked my dog, so I already considered them good guys. Ed Green and his crew did an amazing job remodeling our Master Bathroom! They were efficient, on budget and most important to me – available whenever we had questions or concerns. We would highly recommend Green’s Plumbing!! Excellent, professional and prompt service. Brian switched out a toilet and replaced the cartridge in an old shower fixture. Highly recommended! I had a complicated repair the involved my husband “installing” the water heater. I ended up needing Green’s Plumbing to come out twice to correct what my hubby tried to fix. They were very professional. They came out in a decent time and were very reasonable! From now on, I will ONLY call Green’s Plumbing! I called Green’s Plumbing to come over after having 2 other plumbing companies here! My fountain pump stopped working, both the other plumbers told me I needed a new pump!! Green’s Plumbing came here and quickly fixed it, they were so honest!! They have all my future business!! THANK YOU!! I will always call Green’s Plumbing. They gave me a window of time when they would be out to my house, got a call to inform me they were running a behind, not long after I received a text stating they were on their way. Very considerate, polite and knowledgeable. Quickly fixed the problem and the bill was very fair. I have already recommended Green’s to my family members. The BEST. You could not get better service anywhere. Green’s Plumbing is reliable, honest and extremely helpful. Phone calls are always speedily returned and service calls are rapid. I am especially grateful for Ed’s suggestions even when they are a not a direct benefit to him. He truly cares about helping. Thank you Ed for all your help over the years. I am very happy to say that Green’s Plumbing is simply fantastic! The plumbers that we’ve experienced are professional in every sense of the word. No longer is finding a plumber a dreaded experience! When our water main broke and we had gallons of water pouring out of the cracks in our driveway, our neighbor recommended that we call Ed. I’m so glad we did. He had worked on other houses in our neighborhood before so he was familiar with our problem. We got the piping replaced, and he and Nick and Brian fixed other small plumbing things in the house. We were so happy to see them. We asked Ed to help us install a sub-meter for the house, and he and his wife wrestled with the DWP website for days because it was having problems at the time. (I’m so glad that I didn’t have to do that.) His wife went to pick up the sub-meter while Ed was working at our house so that it could be installed as soon as possible. Brian checked and double checked that the sub-meter didn’t leak. I really appreciate the care they took in doing a good job. Of course,when it rains, it pours. During Thanksgiving week, I was out of town and my mother-in-law called me to say that there was a leak in the pipe attached to our water heater. She was in a panic because she doesn’t speak English well and was home alone. I called Ed and he sent someone at once to fix it. They saved the day again. I highly recommend Green’s Plumbing. Their prices are reasonable and their service is great. I would definitely call them again when needed. Awesome customer service! I got an email and a call within minutes of calling for a quote. Then they called and told me they were running later than the time they originally quoted and still got here earlier than expected! Once Ernie arrived he quickly assessed the issue fixed it and noticed other issues we had been having with our plumbing that I didn’t even tell him about. I’ll be sticking with them! Ernie from Green’s Plumbing came out & cleared a difficult clogged sink. Very friendly & professional. Thank you! These guys saved us from backed-up drains in our house. They responded quickly and had the problem fixed in short order at a great price. Ed’s been my plumber for years. He’s knowledgeable, easy to work with, reliable (even if he is going to be late because he’s gotten hung up on anther job, which is hardly ever, he always calls). I had a leak in a wall once and called him and he came right out probably saving my hardwood floors. I really can’t say enough good things about him. I really love this guy! Needed a new water heater. Before Brian got started I asked about water pressure in the house. Brian said there was no pressure valve (gardeners work), and regulator needed replacement. He replaced both right then and there. Ernie came along to assist. Both were great, kind and cleaned up afterwards. The dog loved them. I had an underground galvanized pipe sprinkler leak right before a valve and the only way to stop the water from running was to shut off the main valve either at the street or using the red colored valve. In this situation, I had no water running inside my home. Green’s Plumbing immediately cut off the pipe on the right and capped it since it went to the irrigation lines I can still have running water inside my home. In the first picture you can see it looks like a hodge podge of band aid jobs from prior plumbing jobs with a mix of galvanized, copper, and brass in all weird bends. So, in the next few days I had them redo the whole thing using copper with independent valves so I can turn the water on/off between the house or the irrigation system separately. Also had them give me a new regulator and pressure relief valve while they were at it. Works great and I can control the water flow between my home and irrigation independently! These guys came out same day to save me from the frustration of trying to do my own plumbing under the kitchen sink. There was a friendly live human who answered the phone, gave a time estimate, and said there would be a call 20 minutes before the plumber arrived. All that happened as promised. Brian arrived and solved what was a more complicated problem than I realized, all for a reasonable price. Good communication, fair prices, quality work. We’ve been using Green’s Plumbing for years. Wouldn’t even think of changing! They are always on time and always fix our problems! They never upsell or pressure us to do unnecessary work and their prices are very reasonable. I can’t say enough about them. Thanks Brian and Ed!!! We have happily used the services of Green’s Plumbing for many years. We also solicited their services for a home remodel project. They have always been very courteous and have always responded to our calls very promptly during routine as well as for urgent plumbing related situations. Their work ethic and the quality of their work is always absolutely excellent. They very effectively address the plumbing issue of note in a timely manner and with special attention to neatness and leaving the work area clean. I would very highly recommend Green’s Plumbing as a most outstanding company to address any plumbing needs that may arise. We most definitely intend to use Green’s Plumbing in the future. I have used Green’s Plumbing on a couple of occasions, but I thought it was time to give them a well deserved GREAT review! The last 3 times they have arrived on time, clean and friendly. I always get great service at a fair price. I first tried Green’s after I received a quote from another top rated plumber who told me I needed $1500 in plumbing. I called Green’s plumbing for a second opinion. Ed (I think he’s the owner) priced it at about 1/3 the price, showed me, and explained to me why I didn’t need to spend the extra money and that it was not necessary. Thank you for your honesty. You guys have a customer for life! Green’s Plumbing is a first class operation. I was having problems with a partially clogged kitchen drain. I called on Christmas Eve and left a message explaining that it wasn’t an emergency. I received a call back from Mrs. Green on Christmas morning. She scheduled a plumber for the following day. Ernie arrived on time and quickly diagnosed the problem. He told me how much it would cost which was reasonable. He spent extra time making sure the problem was resolved. He was a true professional. Everything is working now and I am happy for the holidays. They are always so fast to respond, efficient and very competitive pricing. Not to mention, they are very nice and a pleasure to work with.- I haven’t had a plumber I could say that about in years! There are great family owned businesses out there that are not in the business of ripping people off. Green’s Plumbing is one of them. Quick friendly and honest. I am a renter on a budget. Brian told me what needs to be done and how much it would cost. He even gave me an adapter as a temporary solution at no cost. I will definitely refer you to all of my neighbors. Thank you! Brian answered phone 8 a.m. sharp  Came at agreed upon time  Diagnosed issue swiftly; communicated simply & straightforwardly; repaired excellently; reasonable price– Highly highly highly recommend Green’s Plumbing & Brian :-! I’ve used Green’s Plumbing a few times in the past and have been very pleased with the results each time. They take the time to provide a thorough explanation of what they’re going to do and estimate of the cost. No surprises at the end. The costs are fair and, in my recent case, less than the estimate! Also, they finish the job ASAP, and you hardly know they were there when it’s done. I will definitely call them with my next plumbing issue. I hired company to do sewer inspection on one of my listing, for second opinion,they came the same day, very professional, honest, knowledgeable and they had tools that other company I used on the same property did not have. Highly recommend them. I will use them again. Ed, the owner, is very friendly. Responded quickly to our emergency need for service. Repairs were made professionally and we are very satisfied. I own some rental property. Ed handles all personal and business plumbing needs. Been using Green’s for over 5 years. I’ve worked with other plumbers and Green’s prices are very fair and reasonable. He takes care of the job efficiently without trying to add unnecessary work. Highly recommend Green’s, they are great. They just left and I couldn’t be happier. Ernie was so efficient and very clean. They even bring their own paper towels for clean up. Ernie replaced my kitchen faucet in under an hour. He was detailed explaining to me pricing, and he was very thorough with inspecting all the faucet parts making sure everything was there before proceeding and potentially leaving me with no faucet. He was very respectful wearing shoe covers without me asking. I love supporting family business. Great job! Green’s Plumbing is very expensive. I would give them higher ratings if they cared more about their clients rather than the “oh mighty dollar”. I’m a little perplexed on how Ed Green (owner) handles his customers. As a business owner myself I would go out of my way to make sure that I meet or exceed a clients requests, however, that didn’t happen here. I asked Ed for advise on a simple solution to minimize my financial risk and the advice I got from him was a voice recording saying he didn’t want to do business with us. The first request was to get a price on a toilet, Ed said we would call me the next day on a competitive price well that returned call never happened. I also asked Ed to install 2 toilets and asked him if would be more efficient and economical to do it on one visit. Ed’s response was “it will $240-$250 per toilet” now you be the judge…. $500 to install 2 existing toilets? Greens was just here the other day and I paid them $550 replace a pantry faucet. To be frank, I’m remodeling my whole house it’s not about the money it’s about fairness for an existing good client. I have used them on 2 other jobs and didn’t squabble on the high price so for Ed to turn down business because I’m asking for sound advise and a fair deal is extremely perplexing. Brian and Ernie came in today to fix a clog in the kitchen sink. They also noticed that some of the pipes below the sink were old and replaced those. They did everything super quickly and efficiently, and also took the time to explain everything they were doing. Prices were fair as well. Super impressed by their work, I def think this company lives up to its 5 star yelp rating. Ernie was awesome! He was on time, courteous, spent time explaining & answering my questions, made suggestions, checked my house regulator, & cleaned up the problem area. I appreciate the responsiveness of both the owner & his staff. I’ve used them before & will again.